Surgeon Ruggieri (Confessions of a Surgeon: The Good, the Bad, and the Complicated…Life Behind the O.R. Doors, 2012) tutors readers on the economic forces that make the surgical theater tick. Over the past 25 years, the author has seen much change in the practice of medicine: large strides in surgical procedures and tools and money’s ever greater sphere of influence. Ruggieri is a fine storyteller, which is a good thing, for although he peppers the book with dramatic anecdotes from his practice, his real exploration focuses on the financial side of the medical equation. 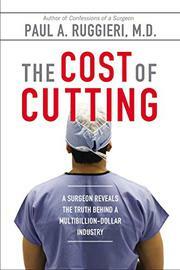 Surgery is big business, the very lifeblood of hospitals and, as the author readily acknowledges, the surgeon’s as well. However, as various market forces come into play, the surgeon’s income is decreasing. Fifty million operations are performed annually in the United States, which raises the question of volume over quality. More to Ruggieri’s concern, however, “all this money carries with it power and influence. When it comes to medical decision making, power and influence are not what you want motivating your surgeon, your hospital, or your insurance company.” The introduction of diagnostic tools, like CAT and MRI scans, offers new medical information, often known as “incidental findings,” which contributes to the $150 billion in unnecessary surgical fees. Hospitals feel compelled to introduce the latest gadgetry, without demonstrated superiority, to appear market-friendly. Too many pressures blur the line between operating for love or money, though Ruggieri sees some obvious steps to be taken: Cut payments for poor-quality outcomes, cut reimbursement for elective surgery, and pay less for operations with dubious benefits. The author has much to say about the world of bullying in medicine—both patients and surgeons on the receiving end—as well as cautionary material on how providers will be reacting to the Affordable Care Act. Top-shelf instruction on the mechanics of the medical economy.